Hey guys! 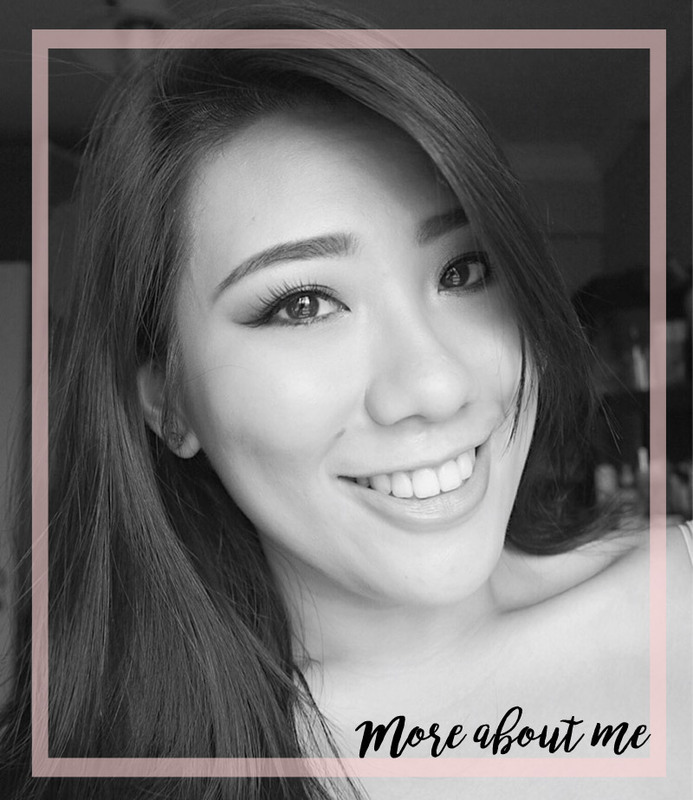 Today I wanna share with you my thoughts and some swatches of the Morphe Brushes 35B Colour Glam Palette. Morphe Brushes eyeshadows really do give you a bang for your buck as it is of really good quality for the price you pay. They have a few different kinds of palettes available but I decided to go for the 35B colour glam as y'know me, colours and glam are my thang. This palette comes with 35 eyeshadows - including 22 with matte finishes and 13 with satin and shimmery finishes. It is pretty difficult to find good and colourful matte eyeshadows and I'm really pleased that this palette has 22 of em'! 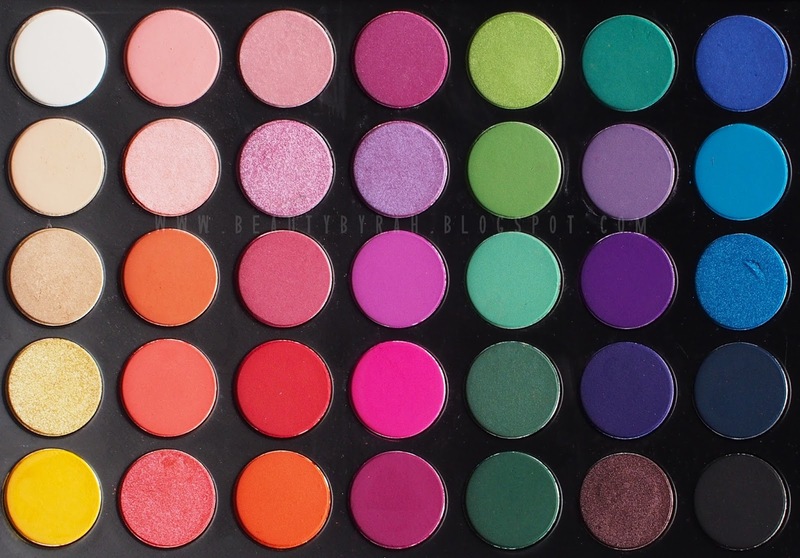 Morphe also has the 35C Multi Colour Matte Palette if you desire all matte shadows. This palette provides you with so many colour options and combinations are endless! However, this palette does not contain any matte browns (or browns, for that matter) so do dig up your own transition shades from your own collection. Really pretty purples and pinks with some greens and blues. I can't put this palette down. These eyeshadows are creamy but not as buttery as say, Lorac eyeshadows. These shadows aren't too dry or powdery either - minimizing the fall out. I love the texture and I feel that it is just right! Some shadows are more creamy than the others, especially the darker matte shades (but not the black). Pigmentatation is really excellent for some shades, and good for the rest. When I swatched the hot pink (middle column, 4th row), I literally couldn't believe how pigmented it was! I think they did a really good job with the mattes, as matte formulation is always the hardest to get right. The matte shadows here are really decent! The shimmers are fabulous as well. Blendability is great too, and you won't be injuring your arms or your lids by furious windshield wiper motions with your blending brush! These shadows lasted a good 9-10 hours of wear on me with no creasing nor fading (with Urban Decay Primer Potion underneath). Can't praise this palette any more, really. Here are the swatches, with no primer and with one swipe. Enjoy and get ready for some drool. That matte white is great for a brow bone highlight for any eye look. Can we take a moment and look at that electric blue all the way on the right? The hot pink in the middle? It gives me life. 2nd colour from the right is absolutely stunning guys! My favourite. The black shadow is really pigmented too. Overall, this palette makes me so excited and inspired whenever I open it. Imagine all the looks that you can create! Some people do say that the quality of the palettes are not as good as the single eyeshadows. I have experimented with both and I've gotta say, the difference in quality is not that obvious. Yes, I do find that the single eyeshadows are more creamy with a tad stronger pigmentation. You can check out my swatches of the single eyeshadows here. However, as long as you have the right brushes, primer and techniques, this difference will be negligible. 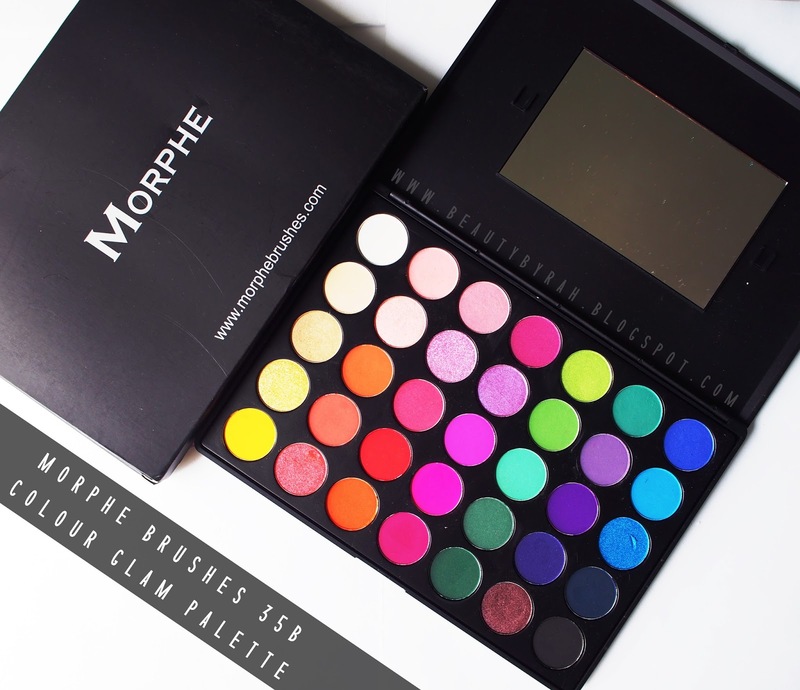 This palette retails for USD$19.90 on the Morphe Brushes website which you can check out here. That makes it less than $0.60 per shadow! Crazy. I highly recommend this palette to everyone! This will be a great addition to any collection. If you're lacking some colours, this palette will supplement your neutral shades perfectly. Hope the swatches helped you in some way and thanks for dropping by!